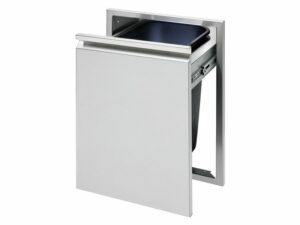 Add storage space to your outdoor kitchen with the Cal Flame Built-In 3-Drawer Stainless Steel Storage Bin. 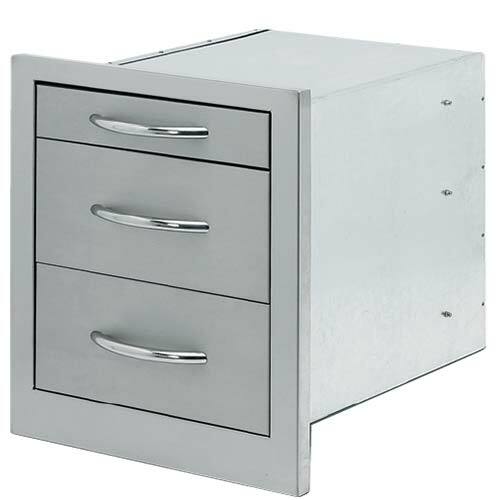 The wide 3-Drawer storage bin measures approximately 15 in. W and 17 in. 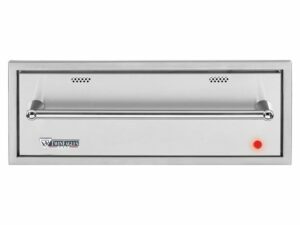 tall, giving you ample room for storage as well as several ways to organize your grill tools. 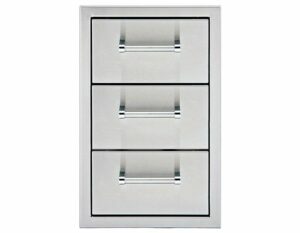 Durable, 1-piece construction handles dress the face of each drawer for easy use. 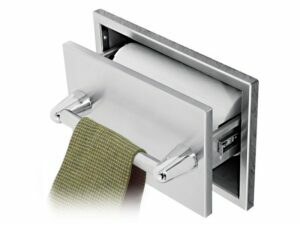 Constructed of 430-Grade Stainless Steel.